April Competition: Win a £50 voucher for Irelands Appliance Centre, The Harbour, Newcastle! 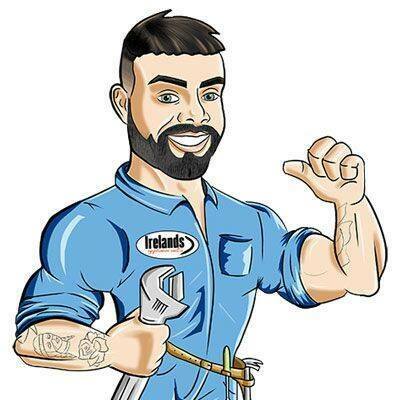 Ireland’s Appliance Centre is a family business and independent electrical store. We have been specialists in sales and servicing of all domestic appliances since 1984. We started off in the world of sowing machine repairs (we still provide machine repairs to this day) and then we gradually moved onto electrical repairs and retailing of white goods, electrical appliances, reconditioned and graded stock - in which we are the only retailer in NI to provide such service. We can reach new heights with our first class and highly rated satellite, aerial work. Are you in insurance, estate agency or own a rental property? Feel free to get in touch. Or simply, shopping for a new electrical appliance? Get in touch. Address: Ireland’s Appliance Centre, 67-69 South Promenade, Newcastle BT33 0EY. To be in with a chance of winning a £50 voucher for Irelands Appliance Centre, simply answer the question and complete the form below. Entry closes Tuesday 30th April at midnight. When was Ireland’s Appliance Centre established?